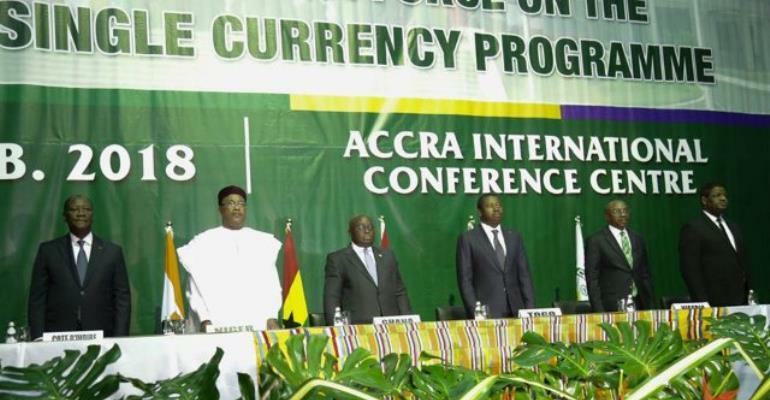 ECOWAS leaders have reaffirmed their political will to meet the ECOWAS single currency Programme deadline by 2020. The leaders made the commitment at the Fifth Meeting of the Presidential Task Force on the ECOWAS single currency programme in Accra. He charged the leaders to work at achieving the convergence criteria required for the implementation of the ECO and also remove hurdles that will impede the smooth introduction of the currency. g. reaffirmed their commitment to fund the ECOWAS Single Currency Programme by Member States and their Central Banks. The four primary criteria to be achieved by each member country are: A single-digit inflation rate at the end of each year, a fiscal deficit of no more than 4% of the GDP, a central bank deficit-financing of no more than 10% of the previous year’s tax revenues and gross external reserves that can give import cover for a minimum of three months.